Carlin has a great reputation in the world of heating. Their burners and burner parts are only made with quality materials. These burners are tested several times to make sure that are going to provide the customer with a dependable, reliable and long term service. Carlin factory tests everything that leaves their manufacturing plant and there are no products that leave the pant without being tested. Carlin Burners is dedicated to bring the customer quality service especially when it counts the most, in the heating season. There are three types of burners the oil burner, the gas burner and the dual fuel burner. 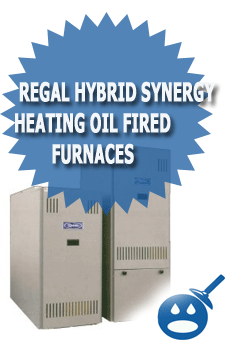 The oil and gas burners can be used with residential and small commercial buildings but the dual fuel burners are used solely with commercial applications. 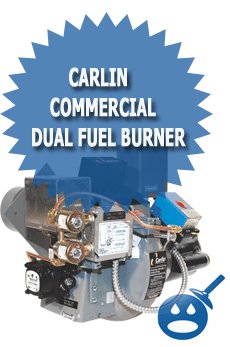 The Carlin 702GO Dual Fuel Burner is an advanced design that uses a combination of gas and oil to light the boiler. The 702GOP offers Carlin’s special adjustable head assembly, this provides the burner with an evenly mix of fuel and air mixture. The burner offers a closed air damper and a low high step modulation that will bring a better efficiency by actually matching the output of the burner to the demand. 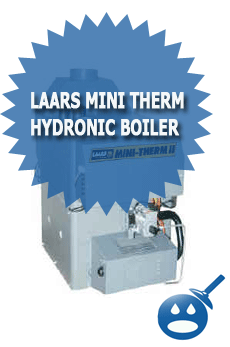 Plus this style of burner will help decrease the amount of heat that is loss when the boiler or furnace is on standby. 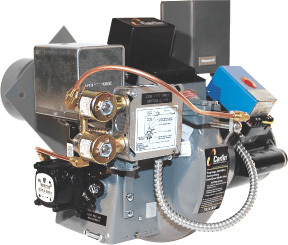 Some other advantages of using a Carlin 702GO Dual Fuel Burner is that these burners can operate with forced draft application with up 0.60 inches of WC. T 702GO uses a high resistance to pulsation. You will find that the blower access cover lets you see a full view of the blower section. The 702GO lets you use a simple adjustment of the air shutter and a combustion head. 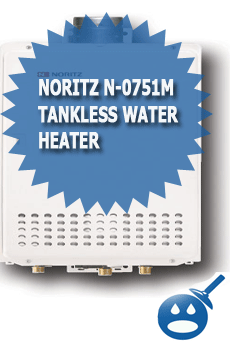 The 702GO operates with a superior performance, the burner has been tested in appliances and do not require a refractory combustion chamber to provide great service. The housing of the burner is made from strong cast aluminum. Here are some of the specifications it takes to run the Carlin 702GO Dual Fuel Burner. The Input of the Burner for Oil with a Low Fire is 3.5 to 6.5 Gallons Per Hour and a High Fire of 6.0 to 11.2 Gallons Per Hour. With Gas the Input is 490 to 940 MBH and a High Fire of 840 to 1,600 MBH. The fuel recommendation for the 702GO is a Number 1 or a Number2 Fuel Oil and either Natural Gas or Propane. There are 2 oil solenoid valves and a 2 stage, 300 Psig with international blocking valves. The Controls on the 702GO uses a Honeywell RM7895C and the electrical power is a 120 vac with 60 HZ and a single phase. The motor on the burner is a 1/2 horsepower, 3450 rpm, 60 HZ, 115/208-230 volts with a single phase and 8.4 amperage. The reliable ignition is a Carlin Model 41000 Solid State Electronic Ignition. The Voltage is 14,000 volts. All parts on Carlin Burners are factory tested before being sold to the public, this guarantees reliability and dependability.